PYP 3 ushered into the new unit ‘Where we are in place and time’ to look into the civilizations of the past and draw inferences related to practices through time. 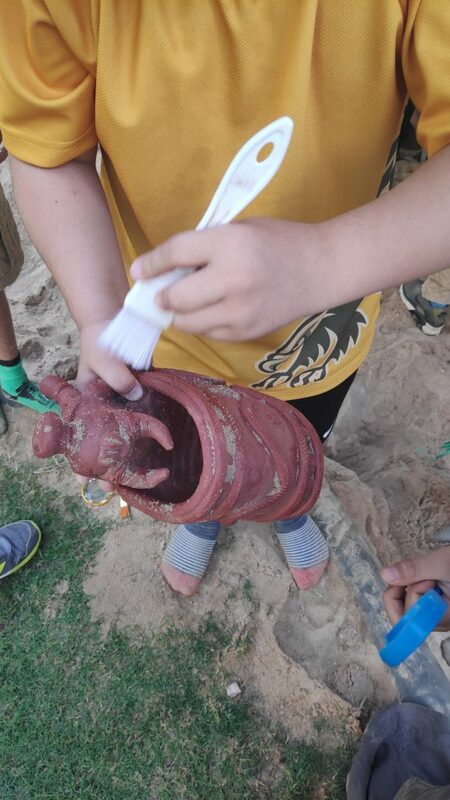 Adding a hint of roleplay into the learning experiences for this unit, an elaborate invitation to excavate and retrieve artefacts was orchestrated. 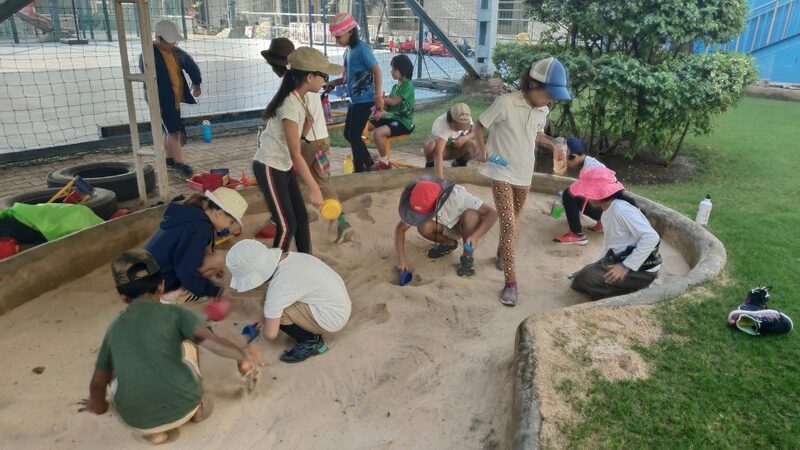 On special request, students of PYP 3 were asked to assume the role of archaeologists and conduct a quick excavation at MBIS, as some artefacts and remains of civilizations were rumoured to have been buried somewhere on campus! The excited class, armed with excavation tools and dressed up in the attire of archaeologists, were determined to discover evidence from the past. The artefacts that were buried, represented the Indus, Egyptian and Roman Civilization. The seals, scripts and pottery styles of these civilizations were represented with the help of the buried evidence. After a quick brainstorm about the probable location to start the excavation, it was unanimously decided that the school sandpit could be the perfect excavation site! Heading to the sandpit area, learners were brimming with enthusiasm. With a quick crash course in excavation and a survey of the ‘site’, digging ensued! Calculated predictions were made, the depth of the sand pit was gauged, optimum use of tools was observed, and the determination to strike ‘gold’ was strong! The class collaborated to retrieve the buried artefacts and shared various informed hypotheses of what the artefacts were, what they represented and what they believe they was used for. These predictions and hypotheses were an excellent way for the class to comprehend how we all inquire into the past, and how archaeologists and paleontologists explore and shed light on life in past times. 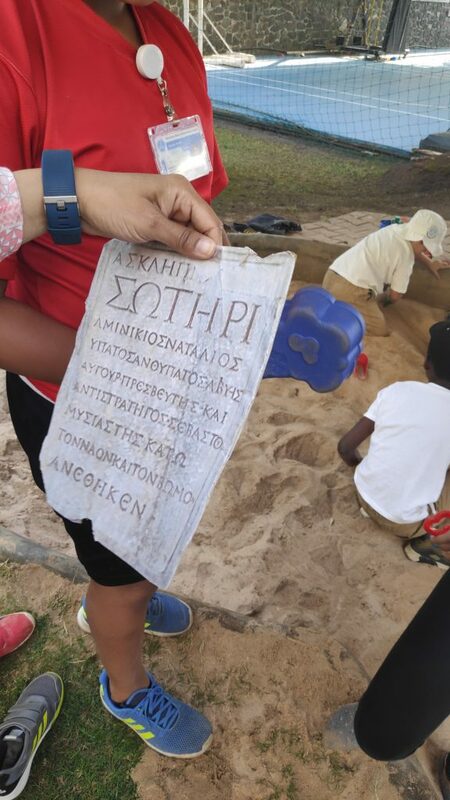 With this activity, learners were actively involved in exploring and inquiring into past civilizations, and were also acquainted with how they can hypothesize and draw connections from the evidence they unearthed!